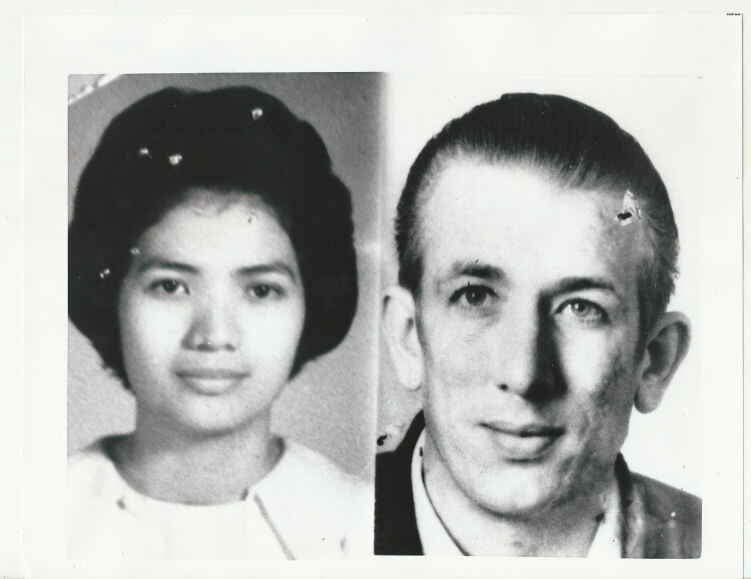 Richard Benjamin Speck (December 6, 1941 – December 5, 1991) was an American mass murderer who systematically tortured, raped, and murdered eight student nurses from South Chicago Community Hospital on July 14, 1966. He was sentenced to death, but the sentence was later overturned due to issues with jury selection at his trial. Speck died of a heart attack after 25 years in prison. In 1996, video tapes featuring Speck were shown before the Illinois State Legislature to highlight some of the illegal activity that took place in prisons. This undated 9" X 7" WIREPHOTO of Speck and surviving victim Corazon Amurao is straight from The Chicago Tribune's historical photo archive. Wirephotos are different than traditional photographic prints. This print is the result of what used to be breakthrough technology (now completely obsolete) that allowed a photographic image to be scanned, transmitted over "the wire" (telegraph, phone, satellite networks) and then printed at the receiving location. They are often on thinner, slick paper (very similar to old thermal roll fax paper) and often fade or become sepia toned quicker than traditional silver halide prints. Long removed from commercial use, these artifacts represent an important era in the history of news media. Front and back of photograph is shown.